This career unit gives students an introduction to the law, public safety, corrections and security career cluster and what a career in this field would be like. This is perfect for a career, technology, CTE or business class. 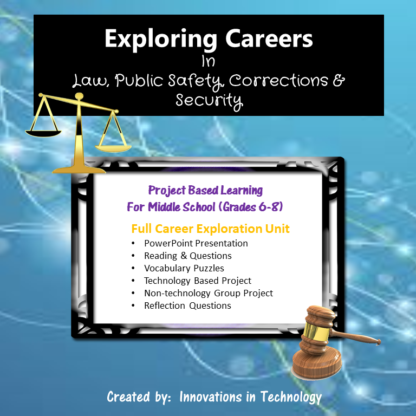 The included PowerPoint presentation can be used by the teacher for whole class instruction, or provided to the students electronically (or as a printout) for them to review individually. Students use close reading skills with a short informational passage to learn about the career field and answer questions to use critical thinking skills and demonstrate their understanding. 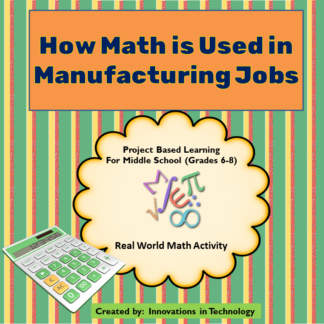 Two different puzzles are included to learn different jobs in the career and to reinforce vocabulary skills. 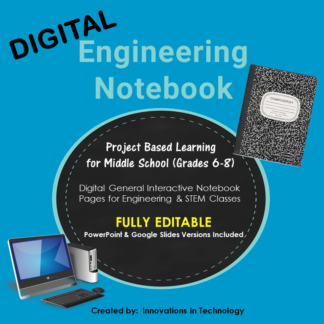 A technology based project comic creation project is included to allow students to use critical thinking and creativity to further explore the career field. A quick reference/tutorial is also included for StoryboardThat (free, no download needed). 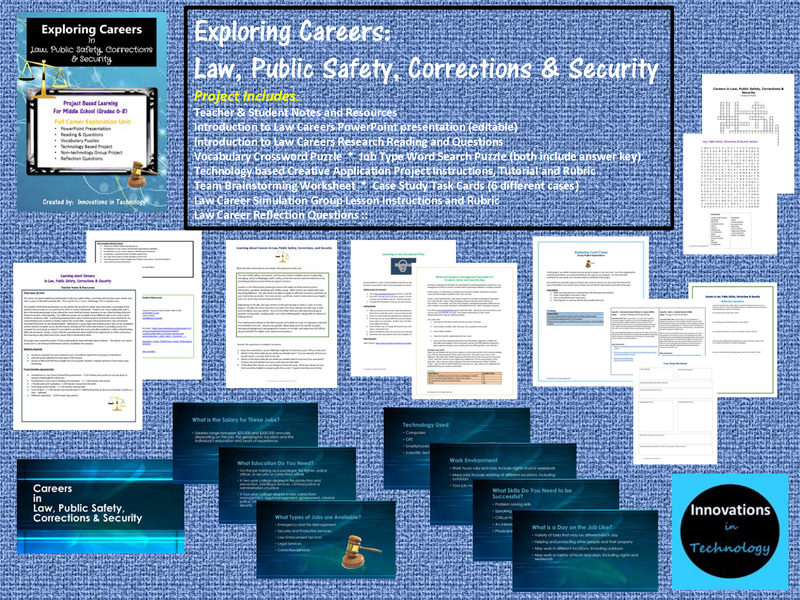 Additionally, a group legal case analysis project that can be completed without student computer access (by the teacher printing out the linked information) or providing access to a computer for each group to research is provided to simulate the career and allow students to utilize critical thinking skills and teamwork. Finally, a short reflection questionnaire gives students the opportunity to reflect and analyze their learning as they determine if this career field is of interest to them.